From the former vice president and #1 New York Times bestselling author comes An Inconvenient Truth for everything—a frank and clear-eyed assessment of six critical drivers of global change in the decades to come. • The balance of global political, economic, and military power is shifting more profoundly than at any time in the last five hundred years—from a U.S.-centered system to one with multiple emerging centers of power, from nation-states to private actors, and from political systems to markets. From his earliest days in public life, Al Gore has been warning us of the promise and peril of emergent truths—no matter how “inconvenient” they may seem to be. As absorbing as it is visionary, The Future is a map of the world to come, from a man who has looked ahead before and been proven all too right. 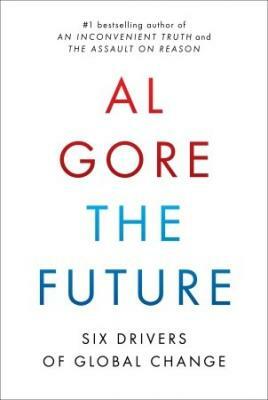 Former vice president Al Gore is co-founder and chairman of Generation Investment Management. He is also a senior partner at Kleiner Perkins Caufield & Byers, and a member of Apple Inc.'s board of directors. Gore spends the majority of his time as chairman of The Climate Reality Project, a nonprofit devoted to solving the climate crisis. Gore was elected to the U.S. House of Representatives four times and the U.S. Senate twice. He served eight years as vice president. He authored the bestsellers "Earth in the Balance, An Inconvenient Truth, The Assault on Reason, "and" Our Choice." He is a co-recipient of the 2007 Nobel Peace Prize. “I’m a pro-growth supply-side economist, so my admiration for Al Gore may seem like an oxymoron. It’s not. This book is amazingly rich in wisdom, practicality, and insight. Al Gore has a portfolio that warrants credibility and is an accomplished polymath who transcends ideology while turning our attention to big issues, big ideas, and big solutions. The Future frames the discussion whether you’re conservative, agnostic, or liberal. It’s a fascinating deep read.”—Arthur B. Laffer, Ph.D.